When buying a property, it’s easy to feel overwhelmed by the amount of advertisings, thousands of prints and significant financial decisions to make. Choosing a trusted and professional agency will definitely will make the process a lot less tricky and definitely a more enjoyable experience. REMAX Colonial has ample experience in the Antigua Real Estate Market, and can provide you with advise and assistance through every stage of the buying process. This includes finding a property within your price range and with the right attributes, organizing finance and in some cases offering our property management and rental services to your new property. 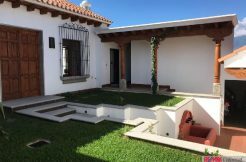 REMAX Colonial also offers listings in other attractive locations in Guatemala, including Guatemala City, the Pacific Coast, Cobán, Lake Atitlán, among others. BUYING A HOME – WHERE TO BEGIN? When it comes to buying a property, the first thing you’ll need to do is assess the type of home you want and determine your budget. Your REMAX Colonial agent will assist you in understanding the price ranges of the different areas around town- since they vary greatly throughout Antigua and its adjacent towns. 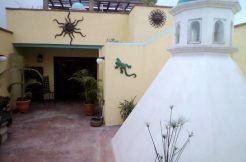 Great views to one or more of the volcanoes, terraces and outdoor living spaces, colonial style designs and closeness to Antigua´s Central Park are some of the characteristics to consider while investing. If this is your second home, you’ll need to asses the right characteristics that will make your property enjoyable and maybe evaluate the possibility of renting it to third parties in some parts of the year. Regardless of your price range, you’ll find that REMAX Colonial offers a range of quality real estate listings and your REMAX Colonial real estate team can assist you with the research and data you need to make a decision. We make searching for residential property listings as convenient as possible – using the REMAX Colonial website, you’ll be able to view property descriptions, maps and photographs and in some cases, videos of the properties on offer. When you speak to a REMAX Colonial real estate agent, he will provide you with further information and help you streamline your search to find homes that best suit your lifestyle. You can also discuss your financial and investment priorities – including immediate rent return, capital gain, lifestyle or any combination of these factors. With this information your agent will be able to better work with you to find the perfect property. Of course, there is much more to buying a house than simply browsing through listings – you’ll need to arrange a number of other services as you make your way through the process. Your REMAX Colonial agent can help you with everything from setting up pre-purchase inspections, contacting a trusted local lawyer, contacting utility providers, etc. If your property is being purchased as an investment, you can also get REMAX Colonial to provide assistance when it comes to making the most of property. From start to finish, your REMAX Colonial real estate agent can take the hassle out of the property purchasing process, making buying an enjoyable, easy experience.